Im so excited today! 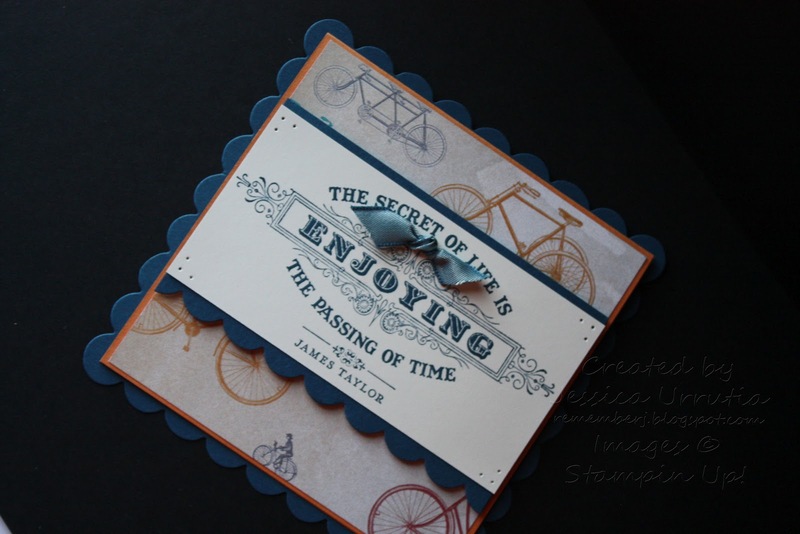 I'm working in some cute projects for September and can't wait to share with you all. But first I just openned a business page on Facebook!!Whohoo! Go LIKE my page today and stay tune for more inspiration, promotions tutorials and more from Stampin'Up! Go visit my page on facebook...click HERE! Case this! For busy mamas is a new series of videos created to make the art of stamping easy, quick but beautiful for busy moms of little kids. Having little children myself I say is an art in itself to find time to relax, lol! But with Case this! 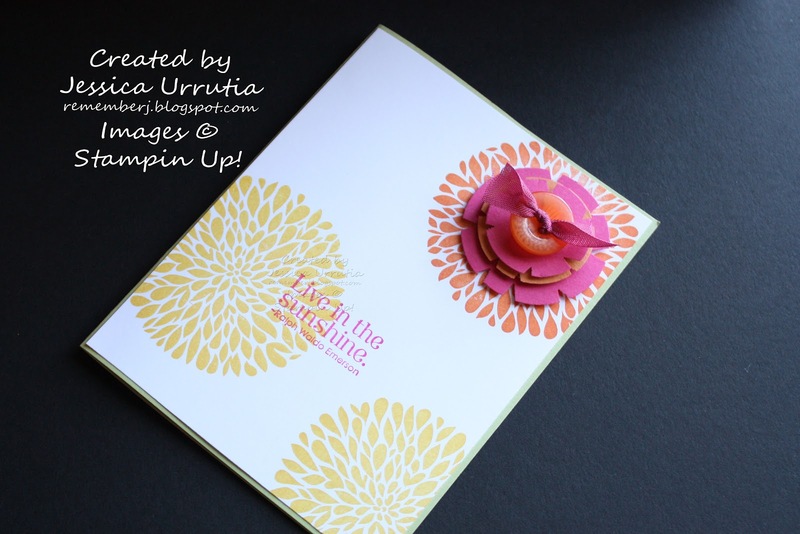 for busy mamas I intend to share ideas and pointers for busy mamas who love to stamp like me. 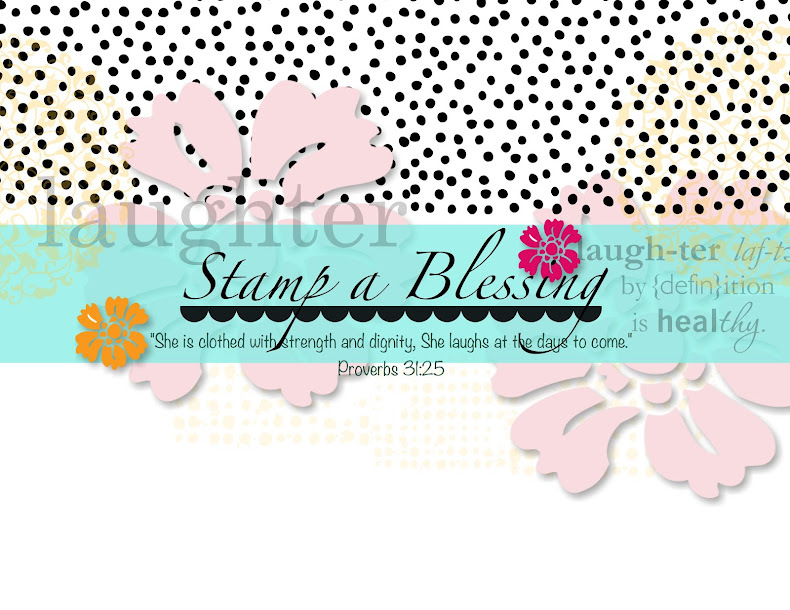 Be bless and enjoy the creative process! 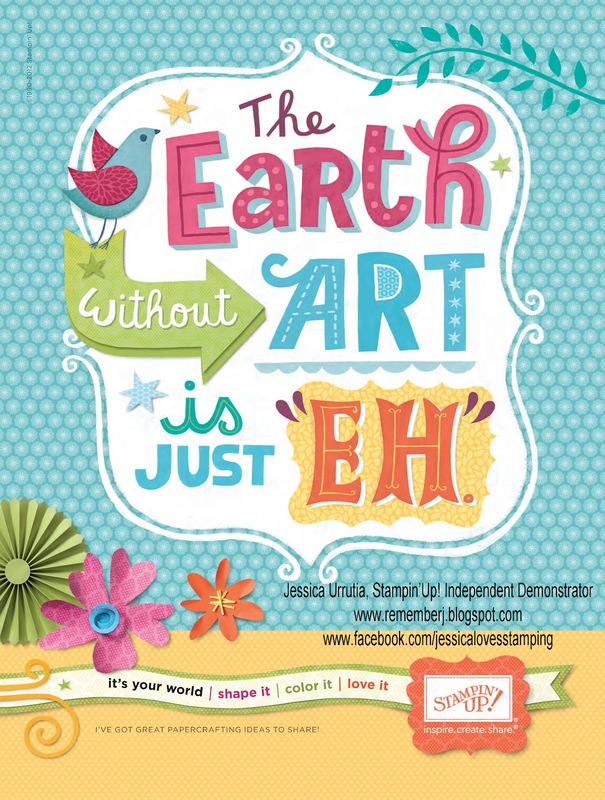 Jen Campbell in the 2012 Stampin' Up! Convention. Here I made the card base out of Wild Wasabi CS to add a bit of interest! My mama friends, share when is the best time for you to create? Do you do it during your children's nap times or late at night? To your surprise I love to find time when they spontaneously want to play by themselves. :-) Yeap! When they go happily to play...I play too!! (sometimes, I also do the laundry!). What about you busy mama? 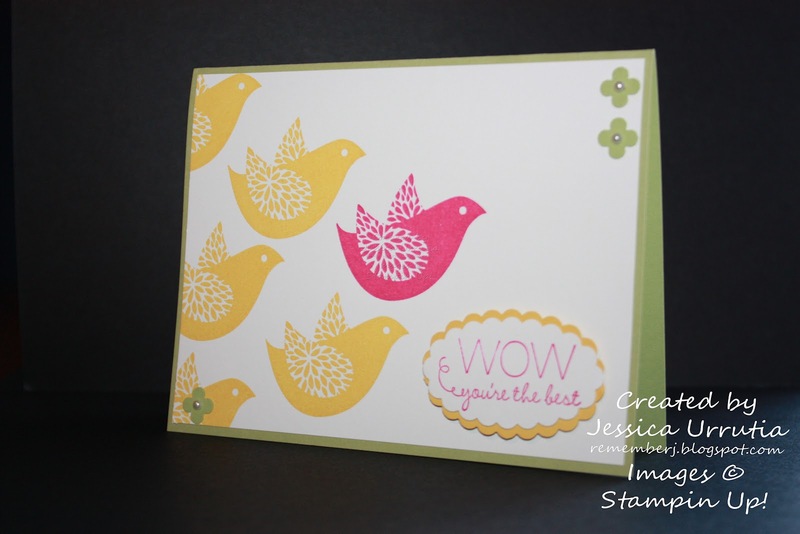 Another fun card with the set Betsy's blossoms!! Enjoy! Love the simplicity of this set. Good day my dear ones! 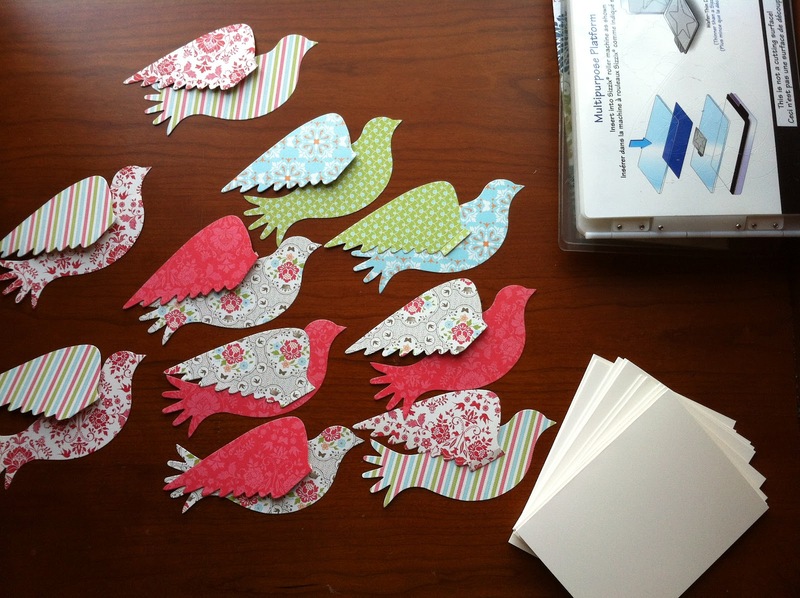 Making cards and any paper project is such a joy to my life especially if I have the opportunity to share it. 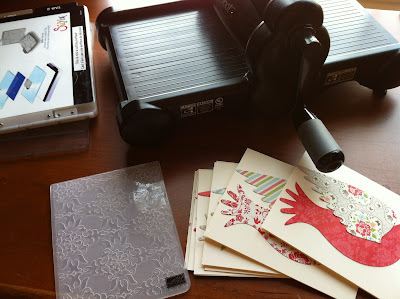 This month (as usual) I was looking for ideas to make cards (in a hurry!). 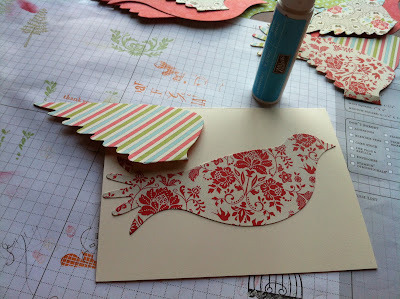 So after making 10 cards as quick as I could I ended up with these and decided to share a short tutorial. It doesn't matter how much I like to make cards that take me forever, lol! 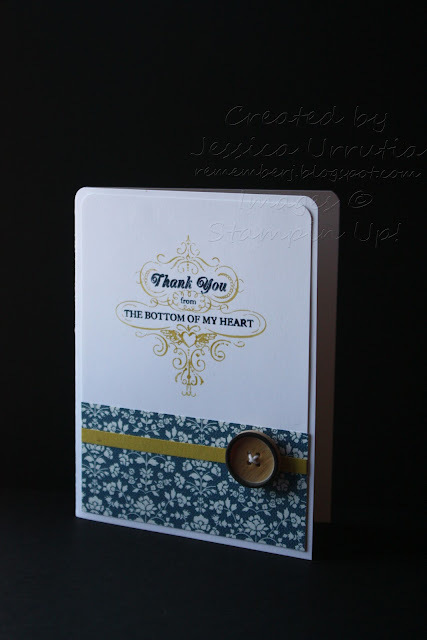 The ones you just can't stop adding embellishments...I always need cards I can make quickly and give away with a bit of my heart in it. This month I made 10 of these and sent them to 10 wonderful people in my life. I know many wonderful people, if I start with 10 at a time maybe someday they will all receive a card from me. Ready, set, go!! 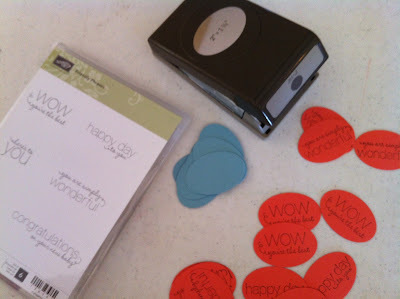 Make 10 cards....I divided my steps in 10 minutes here and there until all completed. 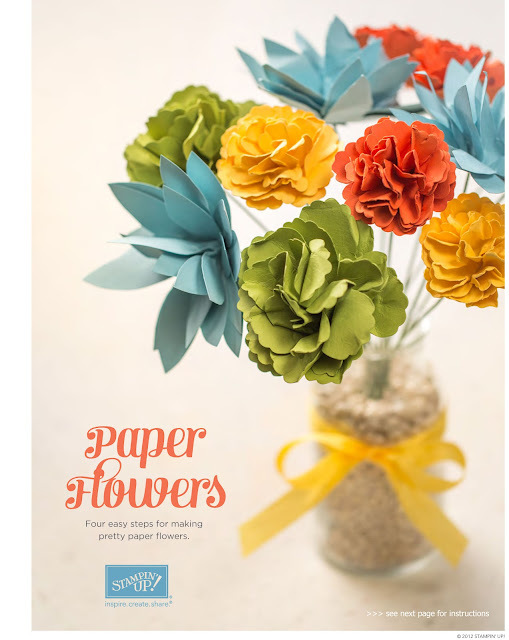 I have little ones so I've learned to use my time wisely and make projects a little bit at a time. Step 1: Die Cut your Elegant birds out of your preferred designer series paper. With the Big Shot I cut several at the sam time. 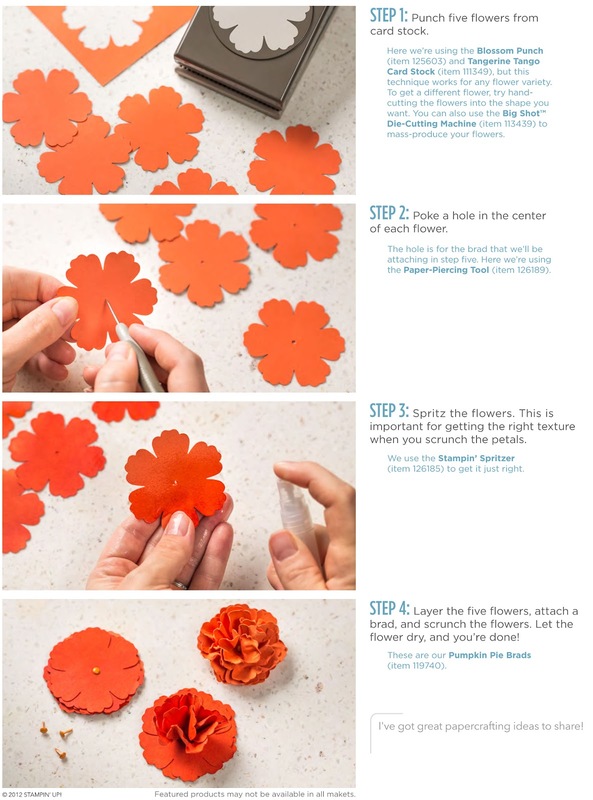 Step 2: Cut your CS to 5 1/2" x 8 1/2" and fold in half as shown. Step 3: Glue your birds to the front of your cards. 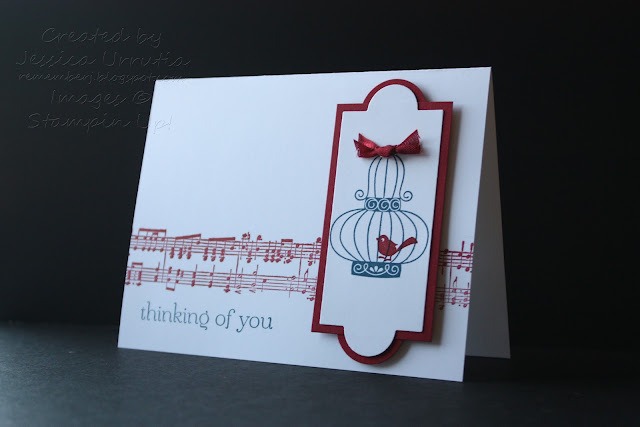 Step 4: Emboss the front of the card with your EF of choice. 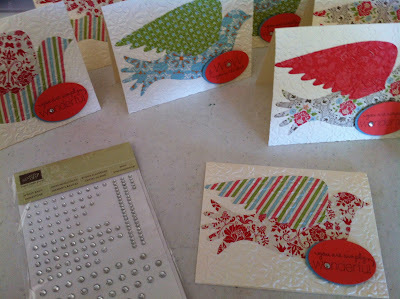 Step 5: Stamp your sentiment of choice 10 times in a coordinating piece of CS and punch. 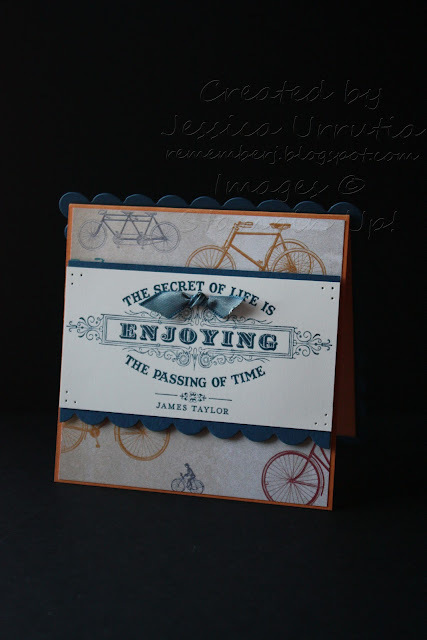 (optional) I also punch extra ovals from a different color of CS to mat my sentiment. Step 6: Glue your ovals mats to the sentiment as shown. for added interest and accent with a bit of bling (rhinestones). Place in cute envelopes and share! Hope you enjoy this QUICK CARDS tutorial and find easy ways to bless others with your creativity and the tools at your hand. What did you think of this tutorial? Would you like to see more? Leave me your love with your comments, it's easy!! Just click where it says "comments". 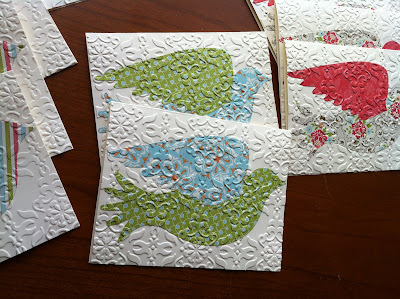 I didnt noticed but I've been searching for my bird stamp sets lately. Can you tell? Hope you enjoy the creativity. I will always love Aviary, so glad is still in this year's catalog. I just love the sweetness of it all. Here I tried something new making a Cherry Cobbler mat for my framelit. 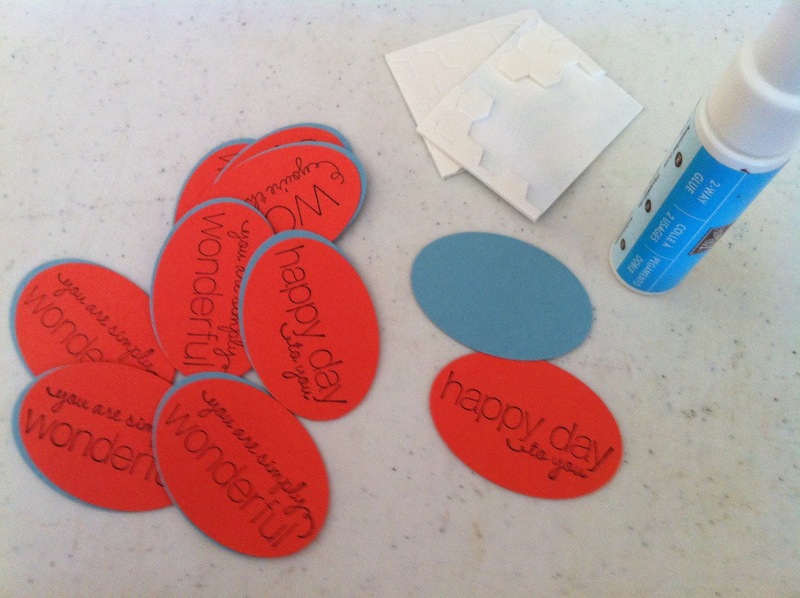 I cut a rectangle for the back at " by " and then added to 1" circles. 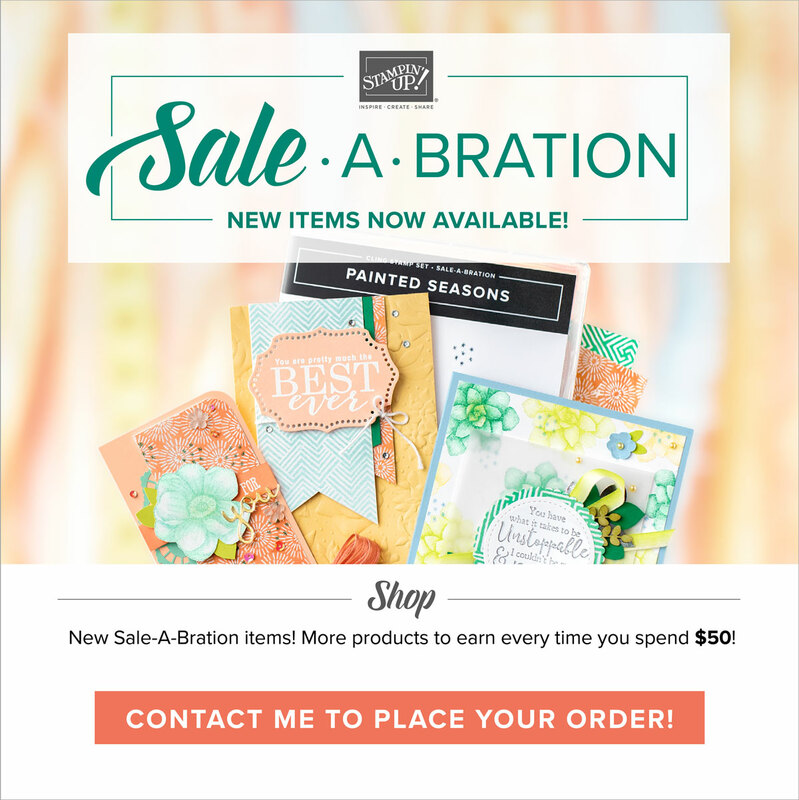 I learned this at Stampin Connection, the demosntrator's full of ideas website!! 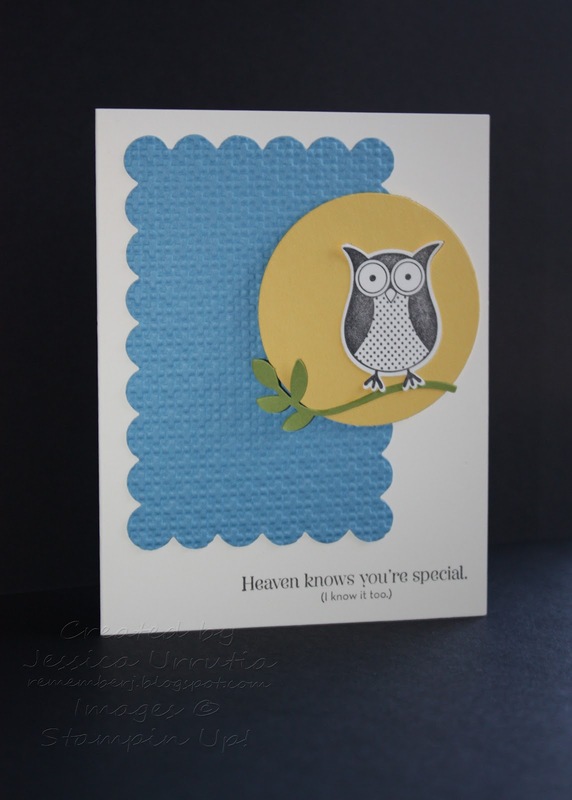 My dear friend came back from his vacation and since when he left I made him a card with an owl I wanted to keep owls as I welcomed him back. So glad you are back Tyler. You are a blessing to me and many many others. Big hug!! What a refreshing feeling it is when you receive those sweet words. What a breath of fresh air, is just a joy when someone receives you just the way you are without looking at your past or investigating your evidence. :-) This is the way I feel today thanks to God. The only One who loves me perfectly and always will. I just LOVE the way He loves me, His mercies are new every morning and GREAT is His faithfulness. 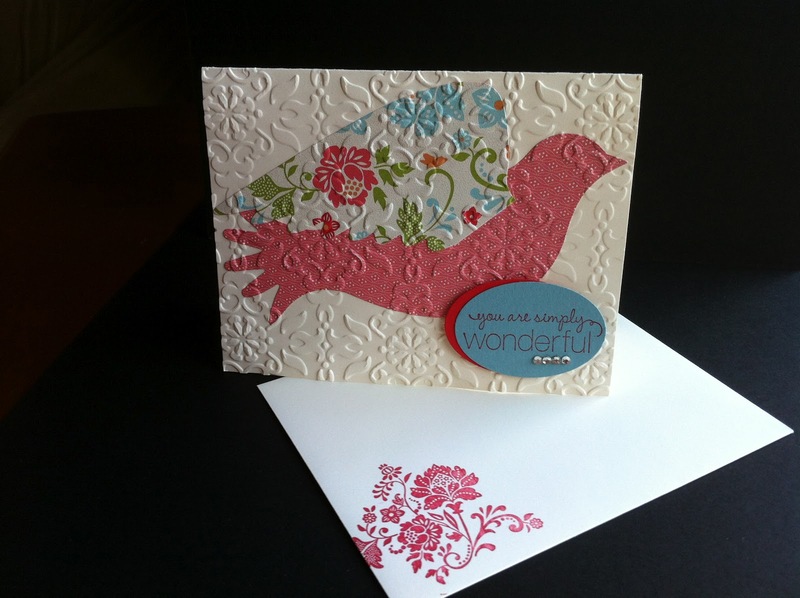 Remember my dear stampin sister...nothing you do can separate you from His love. You are approved by Him, He made us righteous, deserving, beautiful in the Beloved, JesusChrist. Never quit, never stop believing, never stop hoping.You are aproved! Here the cards with FROM MY HEART that I wanted to show you since last month. Yikes! Time flies. Life is busy, but the Lord Jesus is sooo good to me. I am grateful! 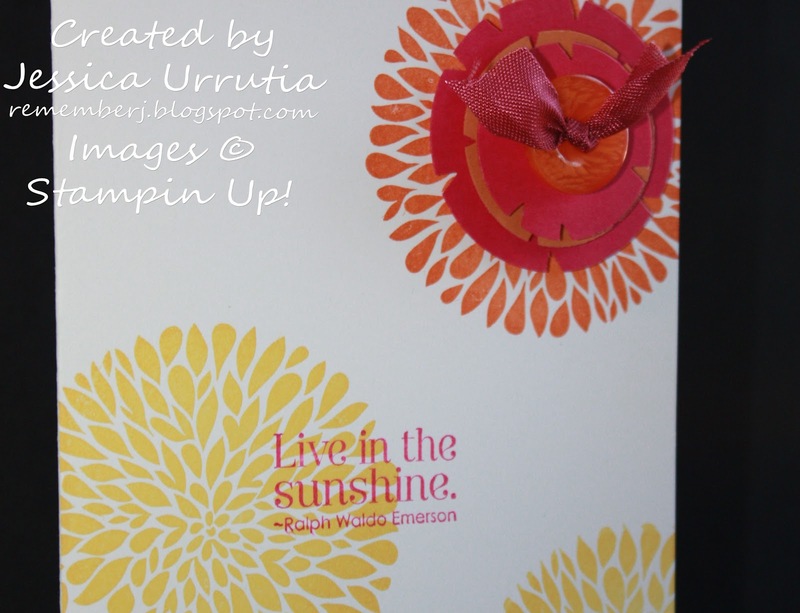 So the first card is using the sentiment from PURSUIT OF HAPPINESS and is a cute little set I made for a wonderful friend who always shares her stamping fun with me!! Is so easy to love you Glen Ann. So glad I met you! And here is my favorite again!! From my heart. 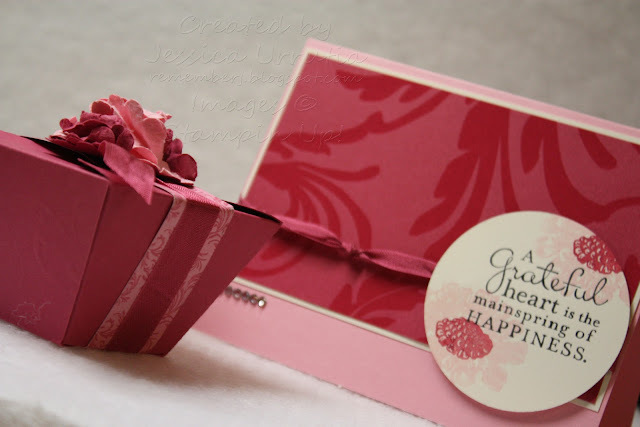 Not sure what it is but I really like the combination of this beautiful paper with it. Is Comfort Cafe..I even like the name of it. 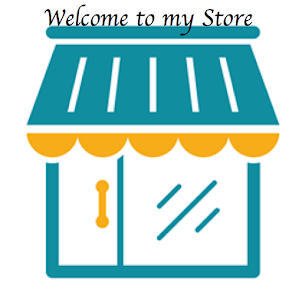 :-) Did you see the new buttons? Colors areMidnight Muse, Summer Starfruit and Whisper White. Click on the picture to see bigger! Hope you enjoyed this samples and come back for more. I truly love sharing what I learn thru this blog and would love to hear from you. Be blessed today and remember He aproves of you and loves you immensely. He calls you beloved!